I’m the mom of one rambunctious little boy. After having four girls I had no idea what I was up for. But as his mom, I find myself pretty much just kissing his adorable face and spoiling him rotten. All I know how to do is LOVE him. LOTS. I have to admit I have no idea how to help him become a little man. Frankly, I’ve never been one. Although there are millions of single moms who would argue that they do just as good of a job raising their sons as a man would, we have to admit that there’s something quite golden about dad rearing his son, being there on site as the measure and true standard of a man. Showing his son little things like taking good aim at the toilet, how to tether the fishing rod just right so it doesn’t snap and how to respect, love and embrace a woman so that he never disrespects one when he gets old enough. Thank God my husband is that present model of strength, and good character for our son, and his father was there for him too. So it just warmed my heart when I saw the sweetest little tale called La Luna during my trip to San Francisco for a Disney/Pixar press junket. It’s a movie that will forever have you gazing at the moon, enchanted by its wonder and laughing as you see how the relationships between different generations of fathers can sometimes be complex. But no matter, a boy who is surrounded by the love you see in La Luna can only grow up to be a man with true purpose and an endearing heart. 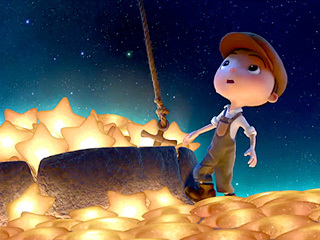 And that little starry-eyed boy in La Luna is based on a stellar man by the name of Enrico Casarosa, the Director of La Luna. The short was nominated for an Oscar and no wonder, because it so perfectly tells a story about a father and grandfather’s strained relationship and how children are most times caught in the middle of their parent’s mess. And with being caught in the middle, it makes it difficult for a child to choose without hurting someone’s feelings. Enrico said the two men in the movie are loosely based on his dad and grandfather who fought a lot and had so many differences between them. 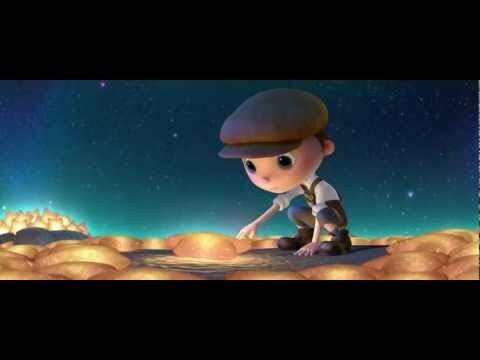 He was often left with trying to figure out what to do , just like the little boy in La Luna. La Luna is proof that parents need to be mindful that their kids are watching their every move and are influenced by what they say and do. Even still, with fussy old dads and grandpas around, I say it’s better than not having them there at all! I could watch La Luna a million times. It was so adorable. I wish it was a full length feature movie. 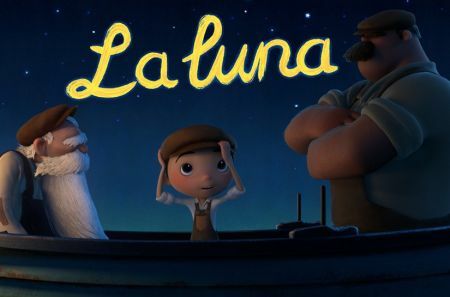 So even though La Luna comes out June 22nd in theaters along with Brave and a few days after Father’s day, I say dads grab your sons and go see La Luna. I love the animation and the clinking of the stars were so wonderfully compelling. I loved hearing it! Take a peek at the sweet La Luna!